Welcome! 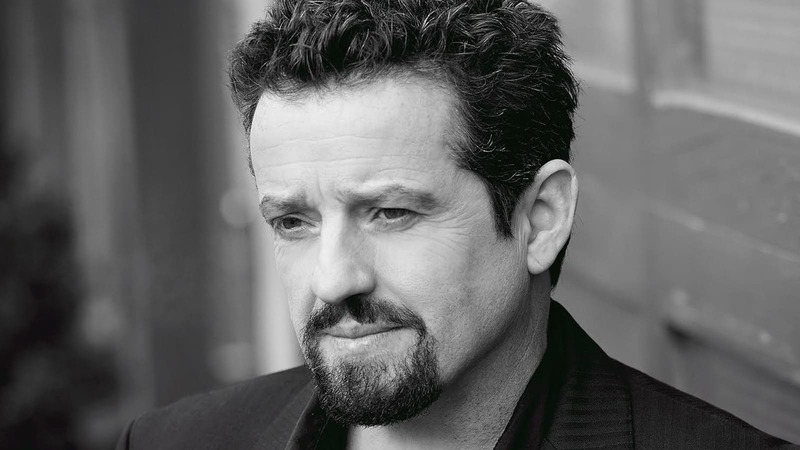 It's the 20th of the month and we're having another big party at Ferreira Fest where we celebrate the acting career of Louis Ferreira (Justin Louis) and follow up with our chosen charities and interview guests. As we enjoy crisp Fall days in the northern hemisphere we have lots of goodies for you, so grab an age-appropriate pineapple cocktail at our virtual bar and come on in! Tuesday, October 25th. If you're in the Toronto area next week be sure to attend - it's going to be an awesome night! For more info and to purchase tickets click here. If you'd like to contribute but can't be there next week please consider making a direct donation - it's quick and easy - by clicking on the logo below! While the folks at Project Limelight are eyeballs-deep in the planning of their next big performance their fundraiser Tuesday Night Live is being revamped. At this point no new dates have been set. Stay tuned for more info! Meanwhile you can help by making a donation to help disadvantaged Vancouver youth attain a high quality performing arts education. Click on the logo and be a hero to those kids! The Board of Directors of The Good Neighbours’ Club is pleased to announce the appointment of Lauro Monteiro as the new Executive Director. Lauro will succeed Dr. Bruno Scorsone, who announced his intention to retire earlier this year. Lauro joined The Good Neighbours’ Club as Director of Operations in 2010 and will assume the Executive Director’s role on October 17. His extensive leadership experience will enable him to guide the organization through a new strategic direction that will better position The Good Neighbours’ Club to provide services to our clients and chart a new course in increasing awareness of the issues facing marginalized elder men and their unique needs. Lauro has decades of public service leadership experience within the justice and human services sectors and with the Ontario Secretary of the Cabinet at Queen’s Park. His passion and dedication to social justice and to the mission of our organization have been guiding forces in the constructive transformation of the services we provide our clients. The Board wishes to express its sincerest appreciation to Dr. Scorsone. He has provided tremendous leadership, made strategic improvements and initiated effective partnerships. Dr. Scorsone leaves The Good Neighbours’ Club in a strong position, well able to continue serving our clients and providing them with a safe community and meaningful opportunities to live healthier and more dignified lives. Please join us in wishing Bruno a long and prosperous retirement and congratulating Lauro as he begins his new journey. Here is Chef Lisel and the GNC staff on Ms Lisel's birthday! GNC's softball team's season ends, with record attendance and always snazzy looks! Winter is almost here in Toronto, and the situation of the elder homeless always takes a turn for the worse during the cold season. Won't you take a moment and make a contribution at our GNC donations page? It's easy and secure and every penny helps! Click on the logo below. "Each year, thanks to our incredible donors, The Children's Aid Foundation is able to reach more children and youth in care and provide them access to more supports so they can live full, rich lives. This year's Annual Report highlights some of the achievements made possible through the support of our community." Click here to see photos, and be sure to check the monthly newsletter The Buzz. Children in foster care will appreciate your donation - it helps them in school and in everyday life. Please click on the logo to make a contribution. This Life is off to a good start with the first three episodes of Season 2 containing some great scenes with Louis' character David Crowley. Louis will be in 8 episodes of this season! Sadly, the show is currently only available in Canada; we'll try to keep the rest of the planet updated the best we can so stay tuned for more screen caps, articles and photos in upcoming issues of Ferreira Fest! Here's a great article about Season 2 as the showrunner discusses new developments. Louis gets a brief mention in this article at The Suburban. A spoiler-free preview of Season 2 can be found here. Episode 202 Perfect Day got a lot of coverage, and this article also mentions Louis. Here's a great discussion of Perfect Day of the two family outsiders wanting to get back in - and a lovely photo to boot! An interview with James Wotherspoon who plays Caleb in the show contains several mentions of Louis and some great insights into both characters. Natalie’s ex-husband David Crowley, 49, is a self-assured academic, and driven to earn a place back at the Lawson table after his estrangement, having divorced Natalie (and quickly re-married) ten years ago. David returns to Montreal in the face of Natalie’s illness, knowing that the futures of the children he barely knows hang in the balance, seeking redemption for his past mistakes. Louis has a recurring role in the new SyFy series Aftermath. He plays the mysterious radio personality Bob 'Moondog' Black who speaks in rhymes and riddles and whose voice comes from the radio like some cryptic oracle. In the series the Copeland family battle for survival when civilization comes to an apocalyptic end, triggered by massive storms, meteor strikes, earthquakes, a plague - and the rise of supernatural creatures. Watch past episodes online on SyFy or SPACE. FF – Are you in every episode? LF – My voice is throughout the first eleven episodes. Not in all of them, but I think like eight of their eleven. And then you meet him at the end of twelve, and episode thirteen is where you actually hang with The Moondog. FF – Oh, okay. So, do you actually make a physical appearance? Or is it voice acting throughout? LF – No, you meet the physical man at the end of twelve, and then thirteen I’m very much a part, I am very instrumental in that last episode, their cliffhanger. Which is really neat how we pitched it because the arc of it is pretty cool, you just hear this kind of dated DJ in the back, and he’s the last voice on the radio. Then you slowly start realizing his role in the whole thing. And it’s interesting, what they wrote. I quite enjoyed myself. It was fun. Bob ‘Moondog’ Black – You know you guess, this is not going to be the smoking-est time since my […] built the wireless five whole years ago. The lights are out, they won’t come back, and nothing but trouble is down the track. So like that always ready Freddie, Louis Jordan keep on telling us, beware brother, beware. Vince Chang - Gotta love Bob Black, he’s the only thing on the radio right now. And people say he has news. Joshua Copeland - How can he have news? He hasn’t done a broadcast since 1950. Dana Copeland - Isn’t this where we’re meeting Mom? Bob ‘Moondog’ Black - So do not fret or regret, mes amis, just pop the clutch and lay a patch, let it all slide down the hatch. We got more days in the rearview than ahead. So how about we tromp it right now, with some men and […]. Note: The character sound clips are from the radio broadcasts in the episodes. Thanks to Casey for the transcripts! Louis does not appear in episode 4. Now that Motive has concluded its successful 4 year run it's time to binge watch the show on USA Network. Click on the happy memory below to get started! In addition to his recurring roles on This Life and Aftermath, Louis will also appear in a number of other shows in the near future. Travelers premiered on Showcase October 17th and will be available on Netflix later this year. Louis guest stars in an episode - stay tuned for details. Taken is a new series starring Jennifer Beals. Louis guest stars. The series will premier in 2017. LF – This is basically a documentary-type of reenactment series where it’s a real officer telling his story, and then they reenact it. The episode I play, I play the officer of the court. FF – Yeah, it’s more like that show COPS - remember that show COPS that you were on? You played the bad guy. LF – Way back then, yeah, now I’m the good guy. FF – Yeah, but it’s more like that, or a Forensic Files, or something like that, that’s what I was able to find out. LF – Exactly, it’s that kind of thing. It was interesting, different. And they were nice people, and a very obviously low budget production, but I actually quite enjoyed myself and had some fun. Nice people. Life on the Line is a movie about electrical line workers starring John Travolta. Louis has a cameo part as Mr. Fontaine. He gets to play a rich guy from Texas. The movie will be released in theatres on November 18th - check your local movie listings to see if it will play in your area! Meanwhile, here's a new trailer. Louis took a great sunrise photo while he was in Montreal filming last month. Louis hung out on the golf course with BFF David DeLuise. Here's one of Louis' new headshots - beautifully done by Tim Leyes. Look, Mr. Mugs. See this pet. He can run and jump. What pet is it, Mr Mugs? I made it look like you! See this pet, Mr. Mugs. A frog can jump fast! Last year The Affolter Brothers won the Hot Shot Shorts Competition which allowed them to complete their Short Film Counter Act. Here they are with this year's finalists! Counter Act had its world premiere at the Edmonton Film Festival where it already won the Rising Star Award for directors. One of the Red Cams used to film Counter Act which also starred Louis as the owner of the diner where the story takes place. Video village on-set of Counter Act, early morning at video village before the crew arrives. "Had an excellent world premiere of Counter Act at Edmonton Film Festival. Followed up with a Q&A which was moderated by the talented fellow Vancouverite, Shauna Johannesen. Thanks EIFF for giving us the pleasure and honour of screening at the festival, and to everyone who attended to show their support!" Counter Act is now heading to the Reelworld Film Festival in Toronto. Good luck! Justin is currently traveling out West and spending time with his younger brother, having a great time despite the approaching cold. Amanda is proud to have been a part of the series Travelers which was classified 10/10 Canadian. Lots of awesome stuff happening with the incredible talent in and around Vancouver - read all about it here. Amanda is currently working as the script supervisor on Season 4 of The 100. Learn more about the show here. Greyston has been filming an episode of No Tomorrow, the show airs on the CW and premiered earlier this month. It looks like he had a lot of fun! Greyston had a great time in Copenhagen last month where he attended Comic Con. Greyston witnessed a beautiful sunset on Mt. Tuam near his home on Saltspring Island, and so he wrote and performed some music to go with his video. Click below for a link to watch and listen. Mika made it to the next round in the Canadian astronaut application process! Congratulations! We'll keep our fingers crossed for you! My jungle wardrobe: Tanktop tucked in sturdy pants tucked in rubber boots, topped by longsleeve shirt & hat, strong belt. Little hedgehog is my model for managing harassment. He's a sweetie if you treat him well, but if you mess with him it's going to hurt. For more hedgehog photos and Mika's adventures in geology and science communications please visit Mika's Page. Eugene's current series The Romeo Section had its Season 2 premiere on October 5th. Past episodes available to Canadians on CTV's website. Eugene plays Al, a fascinating but shady character involved in the Vancouver heroin trade. There are Season 2 write-ups in The Westender and the Vancouver Sun. SADinVAN is heading to Marseille Web Fest! For all the latest updates follow @TroyMundle and @SADinVAN on Twitter! Screening begins on October 22 at 3pm. Patrick's new series Travelers has another trailer. The show premiered October 17th on Showcase and will be available on Netflix everywhere else later this year. Stay tuned! Season 2 of You Me Her has wrapped principal photography. Here's a Season 1 clip. Trying was an official selection at the Edmonton International Film Festival. Here's the poster of the short film. Patrick stars with Christina Sicoli in the comedy about a couple's attempts to get pregnant. Patrick is now on Snapchat - find him under the username patrickgilmore. Eric landed a part on Aftermath, so we've updated the filmography on Eric's Page. "Here's a short video of 2 days building houses in Xochimilco, Mexico. I was paired up with my new friends from New York, LA, Miami and university volunteers from Mexico to build two homes for this struggling family. Afterwards the crew headed to Hostal De La Luz in Tepoztlan, Mexico. We spent 3 days doing yoga, meditating, chakra clearing, Mayan sweat lodges (super intense) and being around amazing people from across North America. Most of which I didn't capture in the video, but was such an amazing experience. It won't be my last trip with Journey and if you are interested in doing something like this I suggest checking out their website and going for it. Great people doing great things." You'll be seeing Jen a lot on TV in the near future, as she is in Season 2 of You Me Her as well as Season 1 of Travelers. Here's a cap of Jen in You Me Her. For more please check out Jen's Page! Check out Ingrid's Page for her updated filmography and two episodes of Notorious. We've updated the filmography on Rob's Page with several new credits. Watch the trailer and read more about it on deadline.com! Seeing Is Believing: Women Direct by Cady McClain is a documentary for which Rob was interviewed. Find out more here. Finally, Rob's preferred charity Kids In The Spotlight has a video for their screening and awards event on November 5th. Peter was nominated for a 2016 UBCP/ACTRA Award for Best Voice for My Little Pony: Friendship is Magic (The Hooffields and McColts: Big Daddy McColt). Congrats, Peter! For more on Peter's voice-acting career visit Peter's Page. At the last Chicago Creation SG Con Peter took a picture with Louis' BFF David DeLuise, and Paul McGillion (Stargate SG-1 and Atlantis) promptly joined in. Apparently it was a very serious moment. Peter also hung out with his former Stargate Universe co-stars Alaina Huffman, David Blue and Jamil Walker Smith. Bradley's full-length feature film Land of Smiles is still racking up awards left and right! Its latest win is for Best Horror Film at the Northeast Film Festival. Congrats to Bradley and his whole team! The movie has its African premiere on October 30th in Cape Town. Buy your tickets here! Not much to say except that they all loved the experience! It's been quite a while since Louis' 50th birthday in February but we've finally obtained a photo of him with the Birthday Book to which hundreds of friends contributed. The cover was so beautifully done by Nicole Pilich. The book had been safely stashed in a moving box and was just recently unpacked again.